We are a leading Manufacturer of conference table, designer wooden conference table, u shaped conference table and rectangular wooden conference table from Jaipur, India. 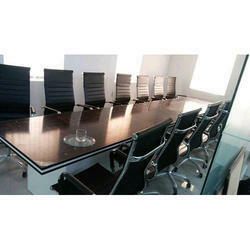 We are engaged in offering Conference Table to our clients. We also have a team of quality experts who make sure to carry out a quality check before the product dispatches. Also the raw materials used for the manufacturing of the table is procured by our trusted vendors who source the best quality materials at our door. 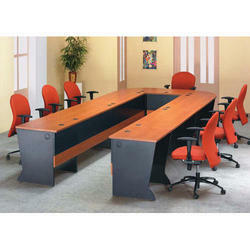 Since the inception of our firm, we are offering a quality assured array of Designer Wooden Conference Table. The offered products are designed under the direction of domain experts with the best quality wood. Besides, our offered products are highly valued for its excellent finishing, and crack resistance. We are putting U Shaped Conference Table for our regarded customers. This item is produced at our all around prepared unit by our talented and experienced experts utilizing the ideal quality crude material and the cutting edge procedures with set mechanical models. Our item range is tried on quality measures to guarantee its quality to convey the best item to our customers. We offer the item in most reasonable costs. 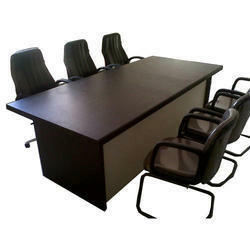 Since our inception, we are offering a Rectangular Wooden Conference Table for our clients. Our supervisors make sure to eliminate all the flaws of the product while manufacturing. Using modern technology and prime quality components, this table is manufactured strictly under the supervision of our skilled experts. 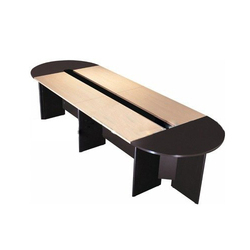 The table is not only durable but has the long service life as well. We present the most reasonable rates for our valuable clients.